If you have worked in several EU countries, you may have accumulated pension rights in each of them. You'll have to apply to the pension authority in the country where you're living or you last worked. If you've never worked in the country where you're living, your host country will forward your claim to the one you last worked in. That country is then responsible for processing your claim and bringing together records of your contributions from all the countries you worked in. In some countries, the pension authority should send you your pension application form before you reach that country's retirement age. If you don't receive it, check with your pension authority to see whether they will automatically send it to you. In some EU countries, you will have to wait longer to start drawing your pension than in others. You can only receive your pension from the country where you now live (or last worked) once you have reached the legal retirement age in that country. If you have accumulated pension rights in other countries, you will only receive those parts of your pension once you have reached the legal retirement age in those countries. So it's important to find out in advance, from all the countries where you have worked, what your situation will be if you change the date on which you start receiving your pension. If you take one pension earlier than the other, it might affect the amounts you receive. There are two types of Hungarian pension systems: private and state. Pension contributions are deducted from your monthly salary. Currently, the contribution rate for state pension is 10%. For all private pensions the payments will need to be made individually. If you wish to claim a Hungarian retirement pension when you have left Hungary, but still plan to live in Europe, visit your local pension office where they will tell you what you are able to claim back when you leave Hungary. Persons who have reached statutory retirement age and have paid the necessary number of years of insurance contributions are eligible for an old-age pension. Retirement age is being gradually increased (by half a year for every age cohort) as of 2010, reaching age 65 in 2022 for those born in 1957 and after. The first persons concerned by this increase are those born in 1952. You may be entitled to draw an old-age pension even if you are still gainfully employed, up to the income ceiling set by law. Since 1 April 2007, pensioners who are in salaried employment are required to pay pension contributions on their income. After 365 days of insurance payments, their pension increases by 0.5% of the amount of the monthly contribution base. The so-called Old-age pension for women with 40 years of eligibility period ('öregségi nyugdíj nők számára 40 év jogosultsági idővel’) is available for those women, regardless of their age, who have fulfilled at least 40 years of eligibility period and have ceased gainful activity. From 1 January 2012, the former early retirement benefits, with the exception of the old-age pension for women with 40 years of eligibility period ('öregségi nyugdíj nők számára 40 év jogosultsági idővel'), are now combined as ‘benefits prior to retirement age’ ('korhatár előtti ellátás'). The list of those entitled to retirement prior to old age can be found at the webpage of the European Commission. In 2005, a new tool, ’Premium years programme’ was introduced into the labour market, designed to keep the elderly in active employment. The objective of the programme is to let workers in the public sector ease into retirement by allowing them to continue to work part time. 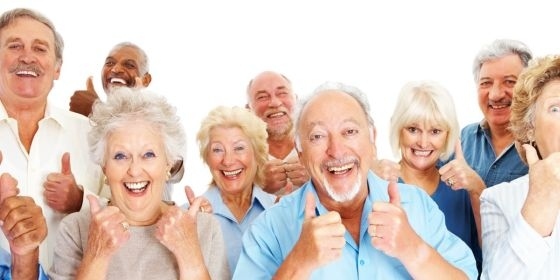 Public sector employees within 3 years of retirement who have completed at least 25 years of service can reduce their working hours while receiving 70% of their former salary, until they reach retirement age; this period counts towards social insurance rights. This benefit can be considered as a form of pre-retirement. Pensions have to be applied for using a standard form. If you live in Hungary, you can submit the form to any pension insurance directorate, in person, by post or electronically. If you are living or staying outside the EU/EEA, you must submit your application to the Pension Payment Directorate. If the application is not submitted in person, the applicant’s signature on the printed form must be certified by a notary, or by the Hungarian Consulate, or by a local authority. The amount of the pension depends on average wage and length of service time (insurance period). The average wage that is used as the basis for calculating the old-age pension is determined, as a general rule, on the basis of the income subject to pension contributions between 1 January 1988 and the date of retirement. The Hungarian pension system provides for a minimum pension, with a qualifying condition of 20 years of service, of HUF 28,500 per month. If the average contribution base is less than the amount of the minimum pension, the pension will equal 100% of the average monthly wage. RESAVER is a state-of-the-art Pan-European Pension Plan that enables mobile and non-mobile employees to remain with the same pension arrangement when moving between countries and when changing jobs. A way of facilitating the mobility of researchers in Europe by providing continuity of pension savings as they move between organisations and countries. The RESAVER solution is supplementary to social security pension system but can replace the existing supplementary scheme.